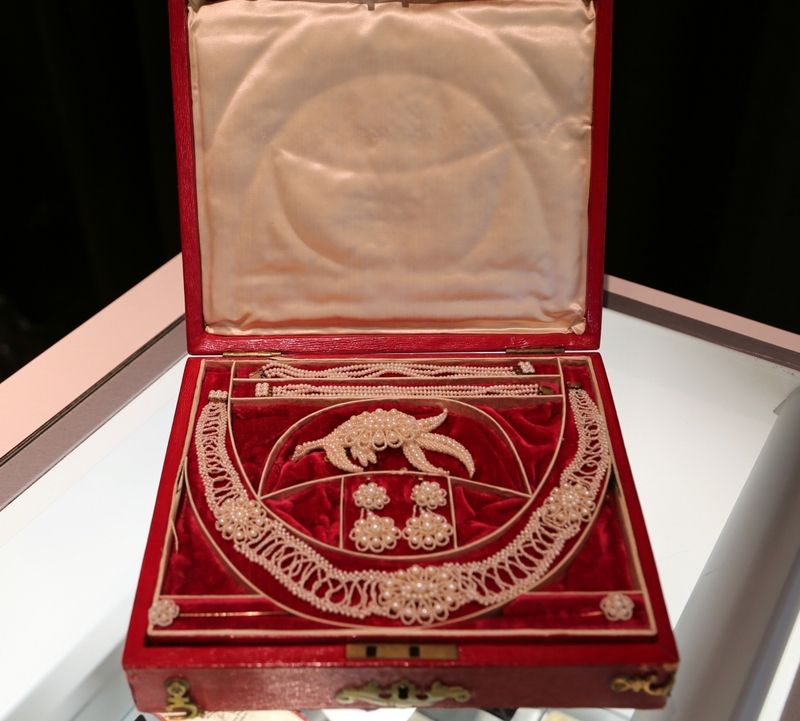 One of the most beautiful pieces in the show was a fully intact circa 1840s English wedding suite comprised of bracelets, a pair of cravat pins, a pair of earrings, a necklace and a brooch in its original fitted box, with pearls and mother-of-pearl backed with horsehair. It received a lot of interest at the show, according to Sam Gassman. E. Foxe Harrell, New York City. 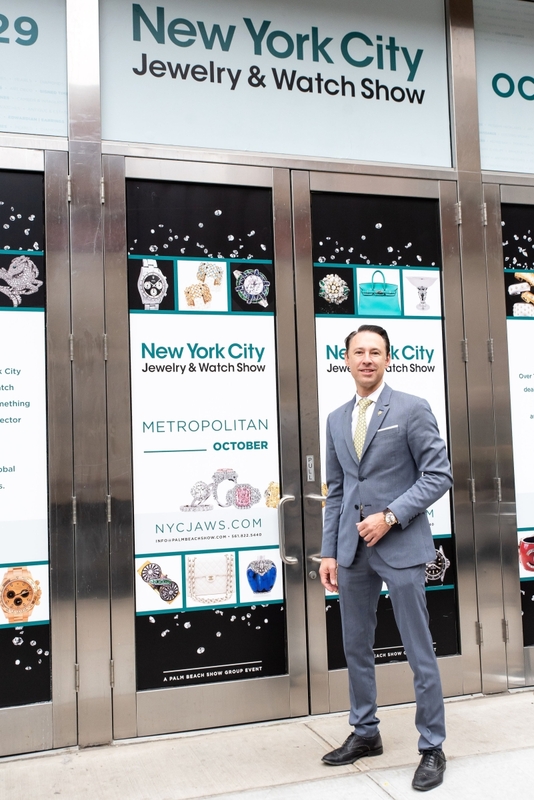 NEW YORK CITY – If you are in New York City in late October and in need of a little bling, or even a lot of bling, you need look no further than the New York City Jewelry and Watch Show (NYCJAWS), a Palm Beach Show Group production now in its fourth year at the Metropolitan Pavilion in Chelsea. 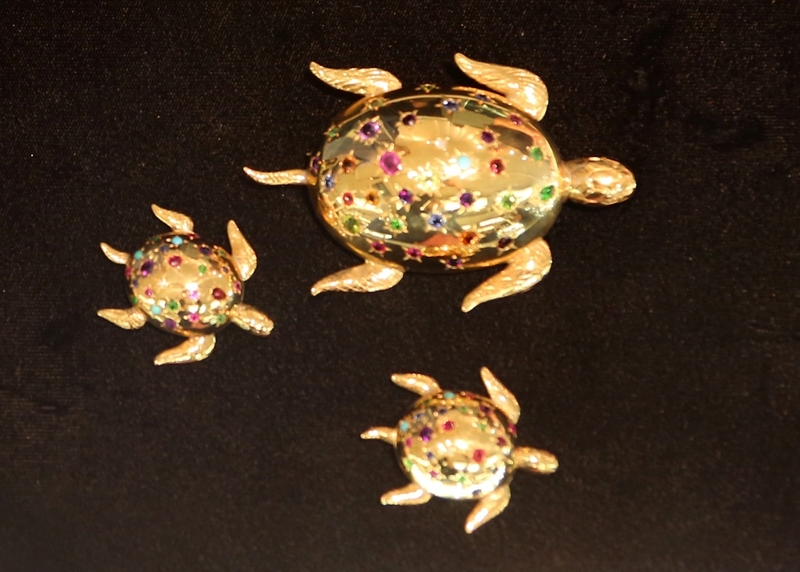 The show, which hosts to more than 100 dealers from around the country and around the world, features every imaginable category of jewelry, including vintage, estate, Art Deco and contemporary pieces, precious and semiprecious gemstones, earrings, necklaces, bracelets and high-end watches. 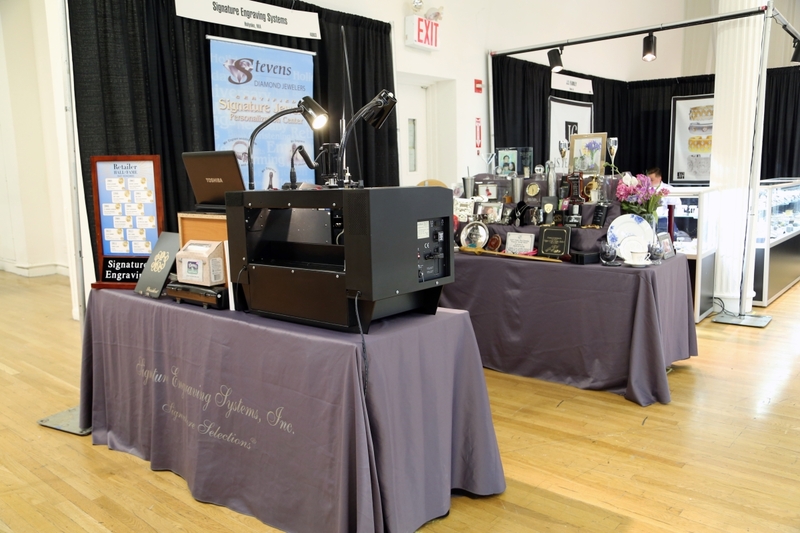 Not to be outdone, several vendors anticipating crossover appeal also bring to the show high-end accessories, such as handbags, silver and scarves. Eleven international countries were represented alongside the United States, including Belgium, Canada, Denmark, England and the United Kingdom, Germany, Hong Kong, Italy, Monaco, the Netherlands and Turkey. 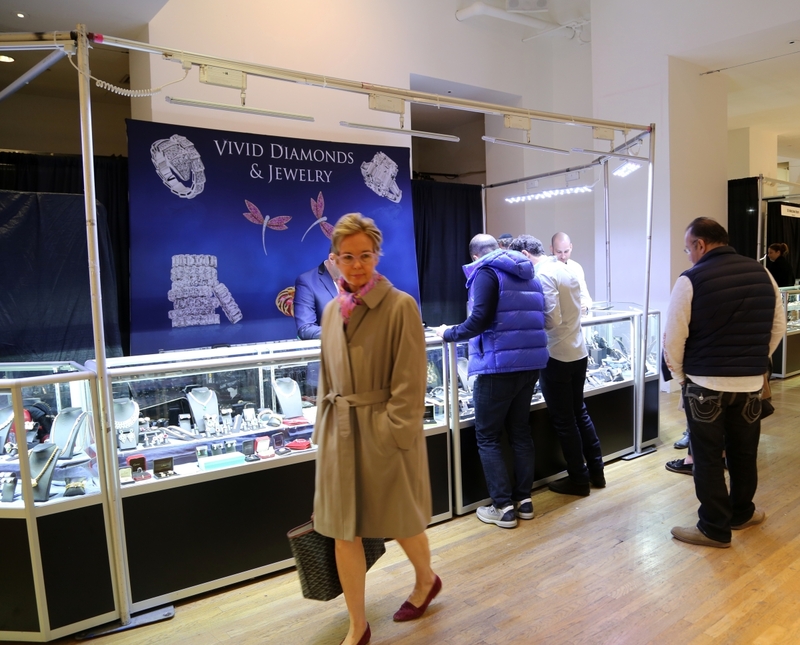 Jewelry dealers significantly outnumber watch dealers, and many dealers who trade in antique, vintage or estate jewelry also brought silver or objets d’arts to tempt buyers. A dazzling array of loose stones of every color, clarity or carat seemed to be on hand in several booths, while others offered only stones already mounted. Many of the cases in the show represented the most well-known names in jewelry design, from the past to the present – Van Cleef & Arpels, Tiffany, Cartier, Harry Winston, David Webb, Bulgari, Marina B., Gerard, Boucheron and Vacheron Constantin. But there were contemporary designers there as well, including Jason McLeod of Charlottesville, Va., whose line of contemporary jewelry provided a welcome diversity to the more conservative and traditional offerings throughout the show. It was McLeod’s first time at the NYCJAWS and, when reached for comment afterwards, he said that it had been a good show and people had been receptive to his designs. 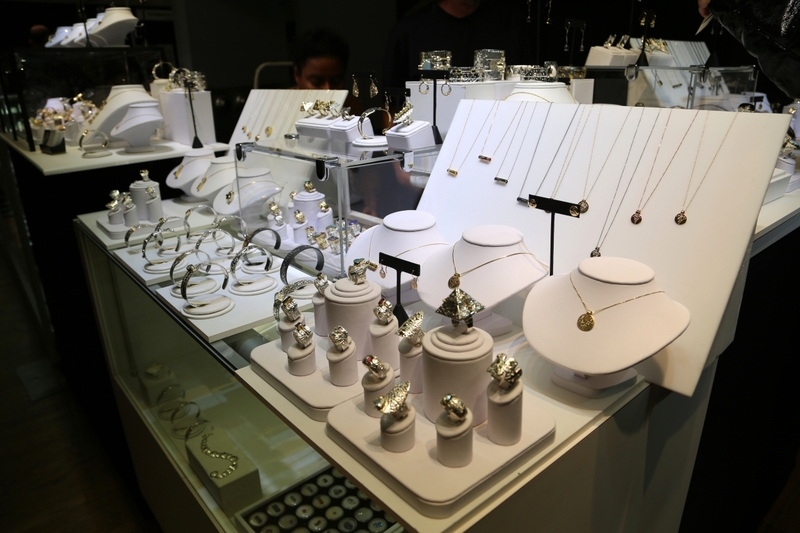 He said he had good sales across the board, an encouraging sign for the contemporary jewelry market. 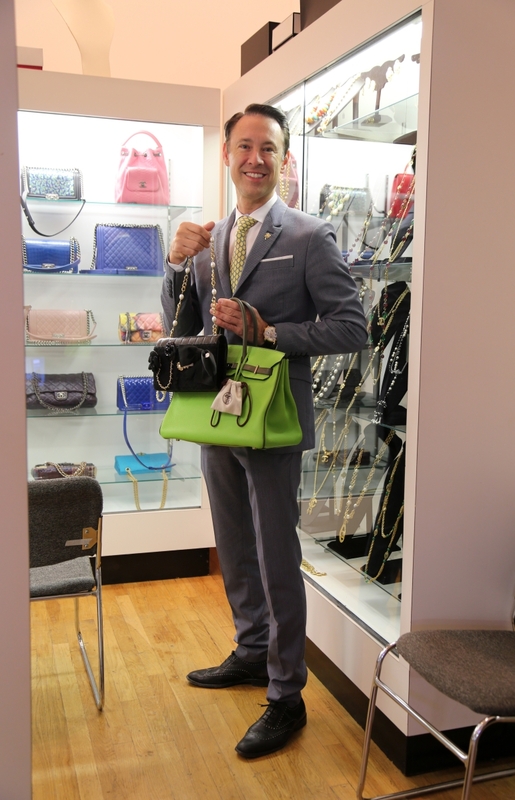 Another dealer who was doing the show for the very first time was Roland Krainz, who is not only president of Fine Jewels of NYC but also designs his own line, KC Krainz Creations. 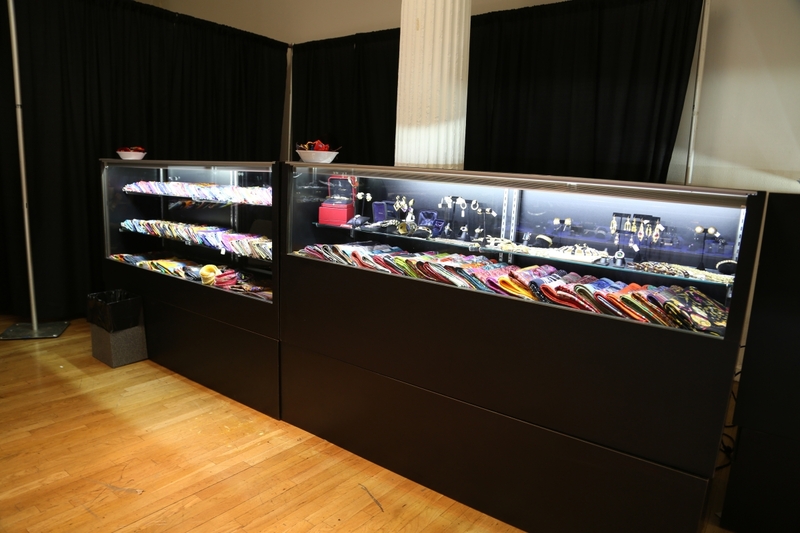 With 37 years in the industry, many as a bench jeweler, Krainz has worked for brands worldwide. 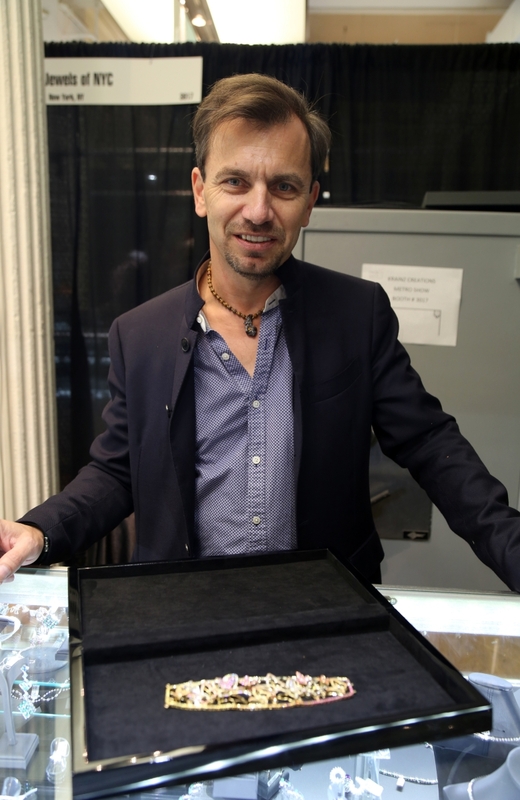 Within the last few years, he has been making his own line, using less expensive stones with detailed craftsmanship. His pieces emulate high-style pieces in a new and innovating creative way and are priced to appeal across a broad spectrum of buyers. Krainz later reported he was very pleased with the show. He said people tried things on, appreciated his pricing and loved the color combinations. 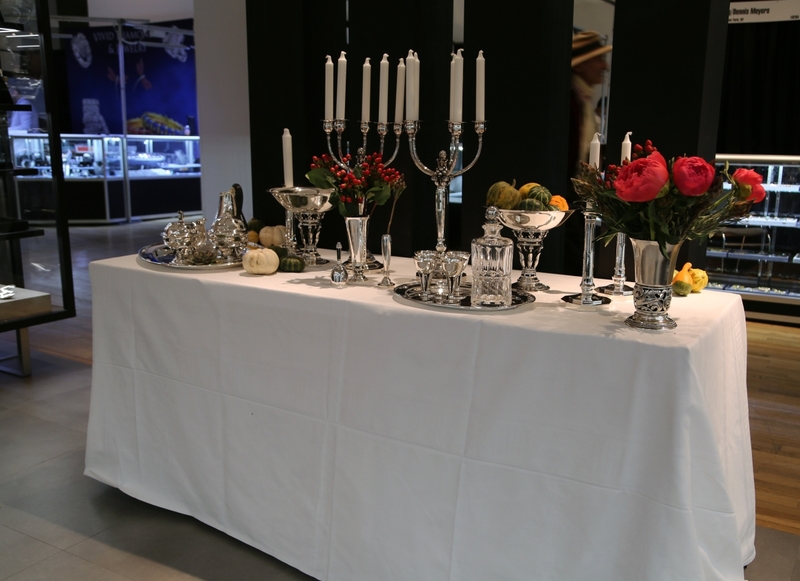 Shoppers had been very impressed with the quality of his pieces, particularly those who were knowledgeable. People were surprised to hear that he has a showroom in New York City, and in many cases deferred making a purchase, so they could visit his showroom to see his entire line. Krainz was upbeat and optimistic that additional sales would follow in the coming weeks. 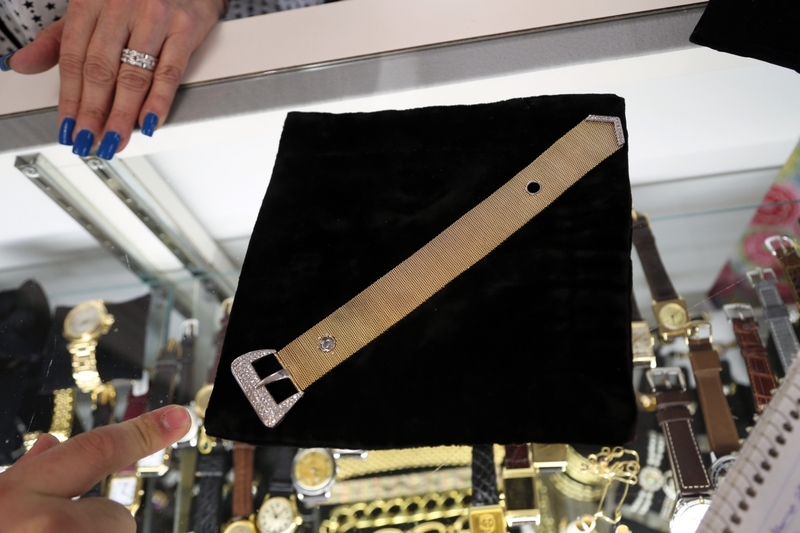 Looking — and buying — at midday on the floor of the New York City Jewelry and Watch Show. 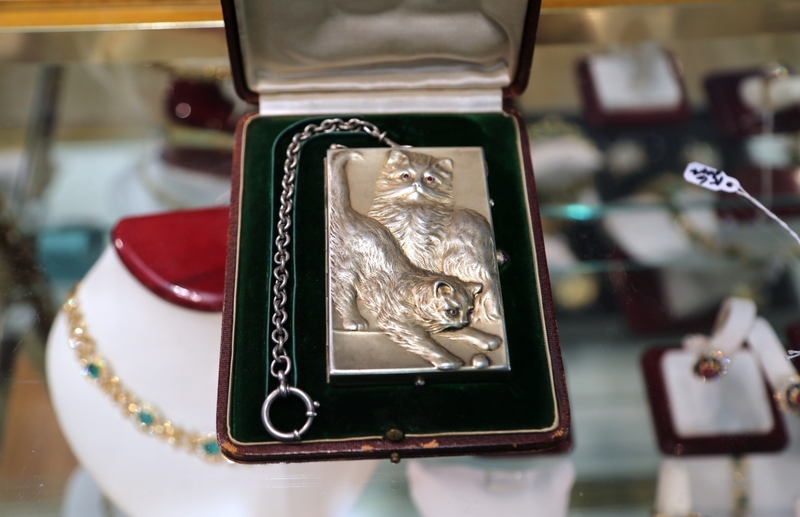 One dealer who has been doing the Palm Beach Show Group fairs since its inception is Steven Neckman, of Miami, Fla. One of the charming things in Neckman’s booth was a Nineteenth Century French repousse silver necessaire with hand-repoussed cats on front and back. Opening the necessaire, or small ornamental case, Neckman revealed a retractable pencil, mirror, money clip, small pocket for lip paste and another larger pocket for powder, and a small area where the carrier could make notes. 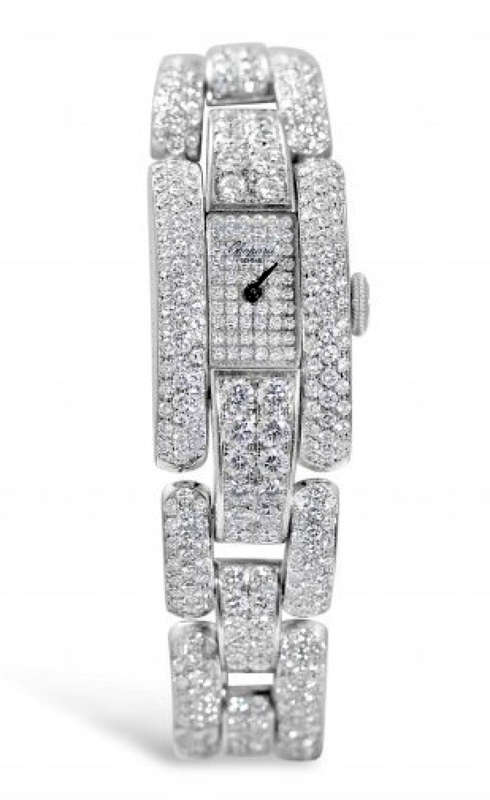 It was included with its original fitted case from retailer Lambert Levy et Cie, of Paris and Buenos Aires. Gus Davis with Camilla Dietz Bergeron, Ltd, New York City, said that the show had outperformed his expectations. He noticed an uptick in private and retail buyers, as well as international buyers, a phenomenon he attributed to the timing of the show to coordinate with other related events taking place in the city at the same time, such as the European Fine Art Fair, the International Fine Print Dealers Association Print Fair at the Javits Center and the Art and Antique Dealers League of America at Wallace Hall on the Upper East Side. Davis additionally commented that in past shows, buyers only wanted to buy jewelry from the big designers, but this year, he said they had sold more that was not signed and that buyers were more price sensitive. When asked, Davis said the sweet spot for prices this year was not higher than $5,000. He also noted that there was good activity and sales on the last day of the show, which he said has been a rare occurrence in recent years. 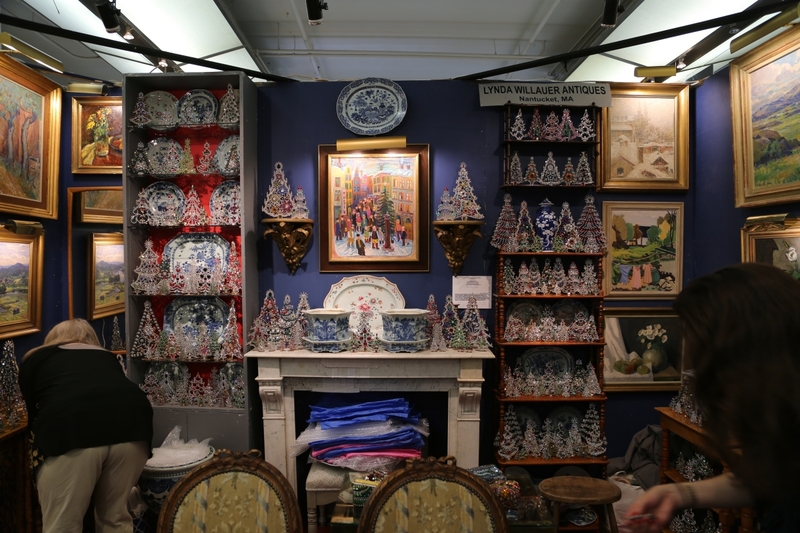 The dealer said it is an important show to do as it provides retailers an opportunity to stock up before the holidays, and they have some sales pending. An unusual sight on the floor of the showroom was a booth adjacent to the cafÃ© dedicated to paintings. 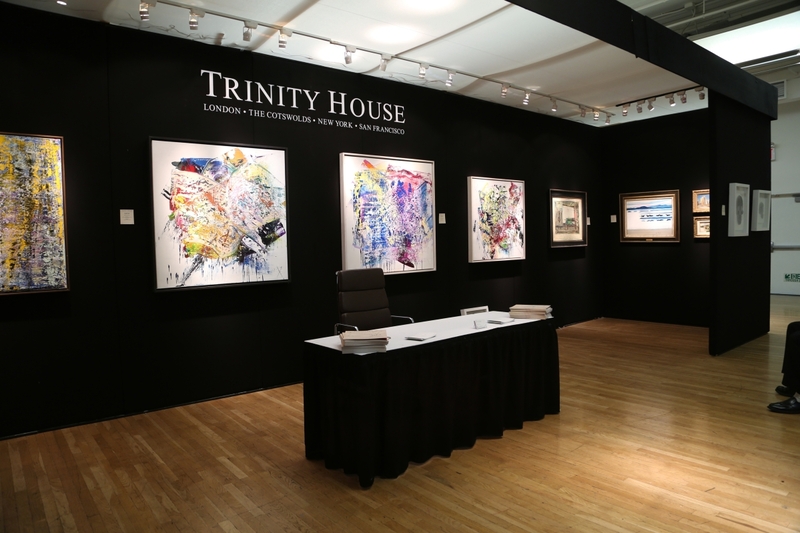 Trinity House, of New York, London and the Cotswolds, lined the outer walls of the booth with jewel-like works by contemporary artist, Stephen Graham. Graham utilizes pins embellished with Swarovski crystals to create three-dimensional images that sparkled and were ideally suited for the venue and were priced between $14,000 and $140,000. 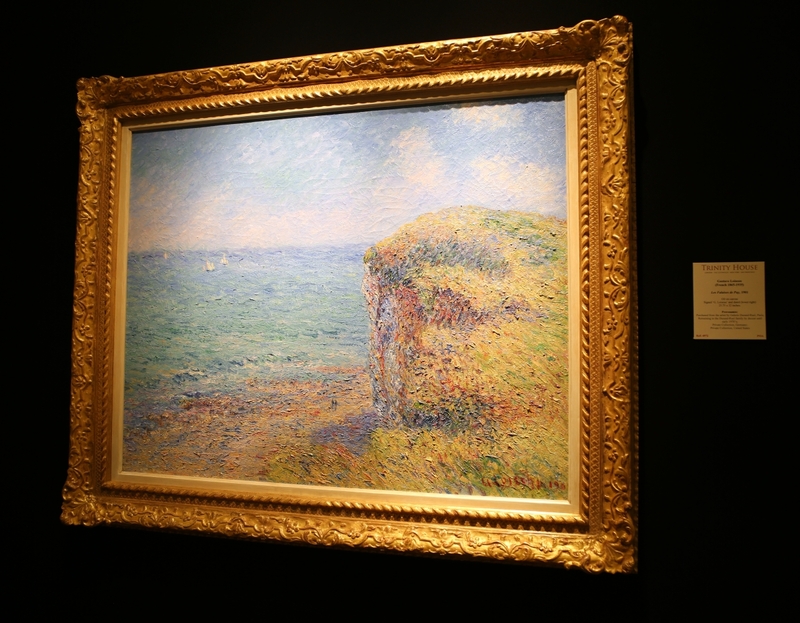 The interior of the booth featured Nineteenth Century, impressionist and modern works – the most spectacular was a landscape by Gustave Loiseau priced at $595,000. Commenting after the show, Zachary Hall said it was the first time they had exhibited in the New York show, and while they did not make any sales at the show, they had been well-received. Hall said that the Steven Graham pieces had generated considerable interest and he looks forward to returning to the show next year, as well as doing other Palm Beach Group shows in Baltimore and Los Angeles. Speaking after the show had closed, a representative for the Palm Beach Show Group said that the busiest day was opening day, Friday, October 26, closely followed by attendance on Sunday, October 28. Since the show’s inception in 2015, ticket sales have steadily increased and the number of attendees in this edition was double that for the 2017 edition. 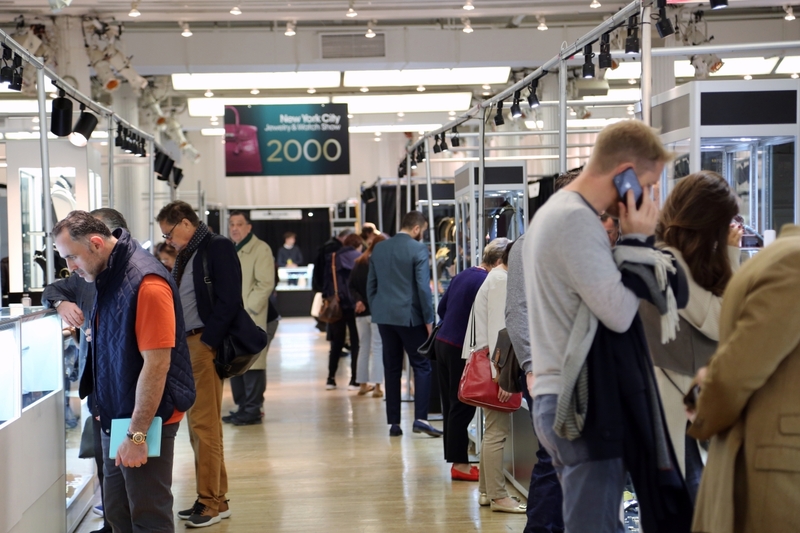 The number of jewelry industry trade badges sold had increased in equal measure, suggesting the show is increasingly a destination for industry buyers. The next NYCJAWS show October 25-28. For information, 561-822-5440 or www.palmbeachshowgroup.com. “Les Falaises de Puy” by Gustave Loiseau, 1901, oil on canvas, 25¾ by 32 inches, priced at $595,000 with Trinity House.